The Need for Long-Term Care Planning | Shah & Associates, P.C. Even a nursing home stay that lasts several months can deplete the savings of an older individual or couple very rapidly. Too many families face this challenge today, discovering that a lack of planning raises a lot of questions about care and especially how it will be financed. This is why any adult should consider how long-term care planning can help plan for the future. Even an initial planning session can reveal some gaps in your knowledge and empower you with the tools to make those critical decisions about your own future. The more questions you are able to answer now, the easier it will be for you to broach these issues down the road if necessary. Waiting too long can put a financial burden on you or your family members or leave a spouse struggling with the best way to manage your care. Eliminate or minimize these concerns by thinking ahead about how you would finance long-term care and whether you have any specific wishes that should be documented and discussed with your family members. 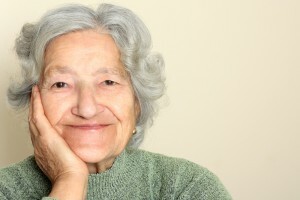 Are you ready to discuss long-term care needs with elder law professionals? Reach out to us today with a message to info@lawesq.net. This entry was posted in Uncategorized on August 3, 2015 by Leena Lauger.